Play the Game Now to Get Crypto! COOPET - Play the Game Now to Get Crypto! In the industrial revolution 4.0, Blockchain is considered as the key technology for digital transformation and building of information technology platforms in the future. Thanks to its unique features, Blockchain technology will open up a potential application trend in many areas, first of all in the field of Game. 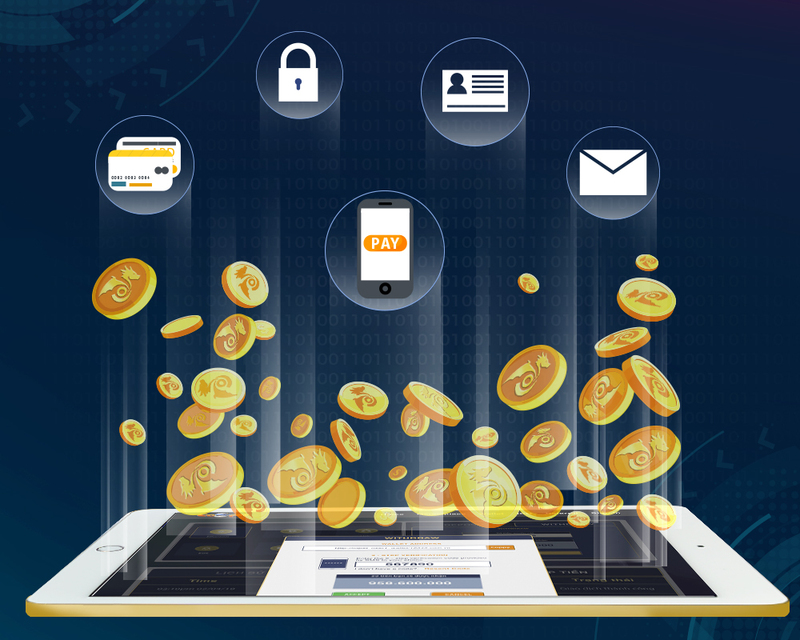 Game is one of the leading areas in the application of Blockchain technology and has achieved great achievements. The global gaming market is booming with recent capitalization surpassing $100 billion. According to Newzoo's forecast, the global gaming market will continue to grow, reaching $ 118.6 billion by 2019 and reaching $ 128.5 billion by 2020. Realizing that this is a potential market, Cootech Company, with a team of experienced professionals, has been researching and applying Blockchain to its Game Ecosystem in order to bring great strides in the future. As a company operating in the Blockchain industry and the Online Game industry, Cootech's mission is to build compelling game titles based on Blockchain. First of all, it is the mission to open the Game 3.0 generation of founders. Cootech will continue to expand its business and co-operate with Online Game partners to build and develop Game 3.0. Coopet is the opening game in the Cootech’s Game Ecosystem. 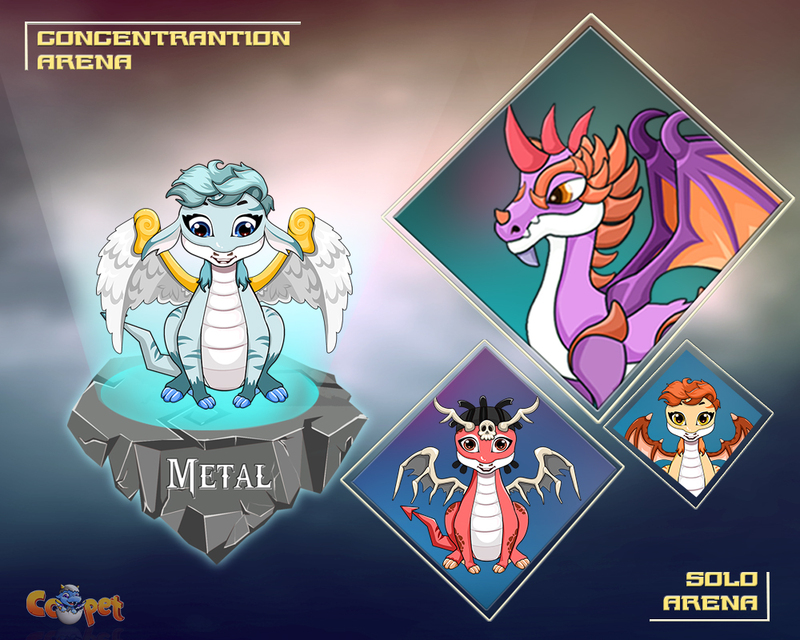 Coopet is a virtual dragon-raising game developed based on the Blockechain technology, which allows players to buy, sell, exchange and breed their "pets". In Coopet, players will own the real property in the game. This is a great step that has completely changed the way we play traditional online games. Solo Arena: Launched on September 20th, 2018. For this feature, players will perform missions each day to get bonuses. Concentration Arena: This feature will be released on October 10th, 2018. The winner of the game will be honored and rewarded. There will be prizes by day, by week and by month. Rewards will be dragon eggs or virtual money. Mating and reproductive: male dragons will have mating function, female dragons will have reproductive function and Baby dragons will be classified based on their rarity. The higher the rarity, the higher the price. Based on the Blockchain Ethereum technology's intelligent contract and the technology of Coopet, Cootech Company will create a complete system that is capable of reproducing thousands of dragons per minute. In addition, each Coopet will be represented by a set of tokens of Cootech that cannot be copied, destroyed or modified. All assets will be owned by the player and not under the control of the publisher. All trades on Blockchain are transparent. All operations will not have any interruptions. COO Token is based on the Ethereum platform, according to the ERC-20 standard and has a circulation of 120 million, to meet pre-sale and ICO sales. After the completion of the pre-sale and the ICO period, the excess COO will be burned. There will be two stages to opening a COO sale. In each sale, the price of the COO will increase $ 0.025 every 48 hours. Token COO will serve as a global value transfer unit, affecting the liquidity needed in the game market. Moreover, COO will become the main trading currency and will be the main platform in the field of Online Game. COO owners can use them to pay in the Game Ecosystem of Cootech and make transactions on the International or long-term investment.